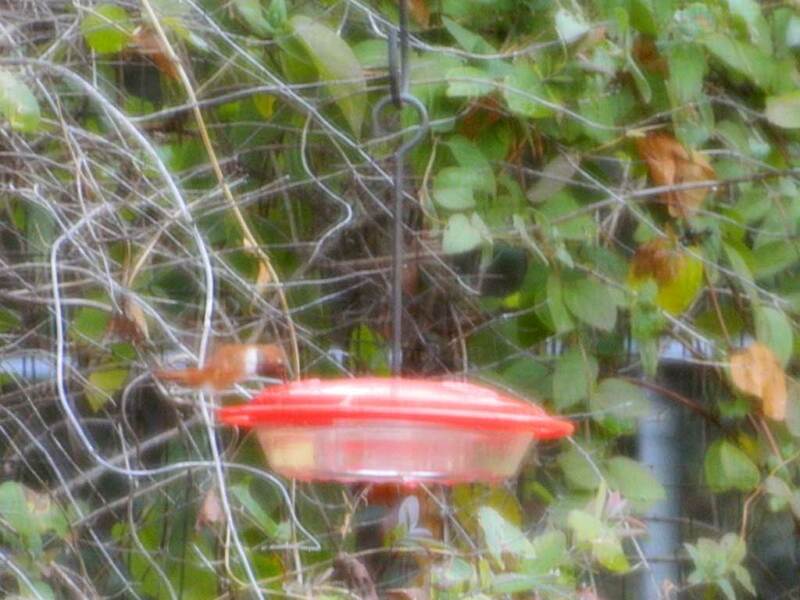 Rufous Hummingbird - Tarrant Co., December 26, 2015. Same bird as below. 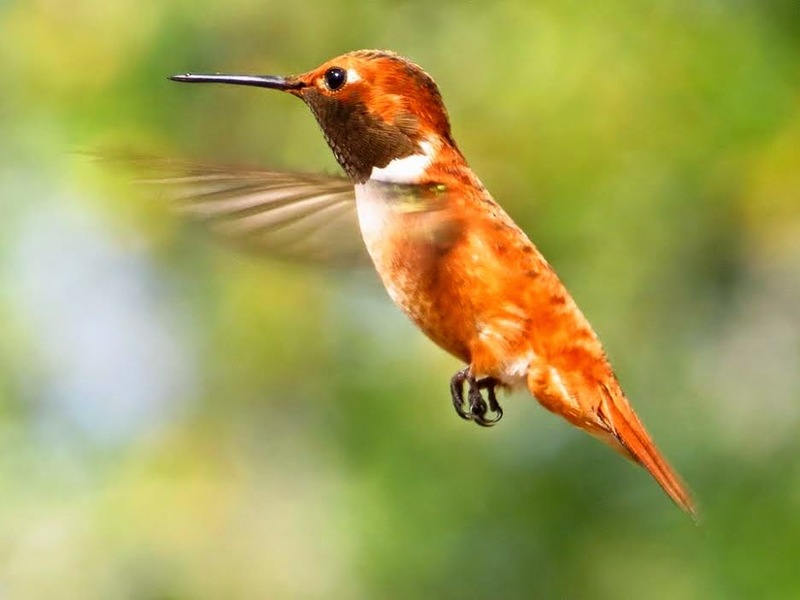 Rufous Hummingbird - A well-described bird with discussion of the bird's broader black tips on the retrices of the tail (differentiating from Allens' Hummingbird) coupled with more reddish, typical adult Rufous pattern on the back. Parker County, December 1, 2002. Nearly every winter, Selasphorus hummingbirds over-winter in the study area. If caught and studied, the vast majority would almost certainly turn out to be Rufous Hummingbirds. Because a small percentage have over-lapping characteristics in the field, however, we generally do not ascribe every bird to species status. 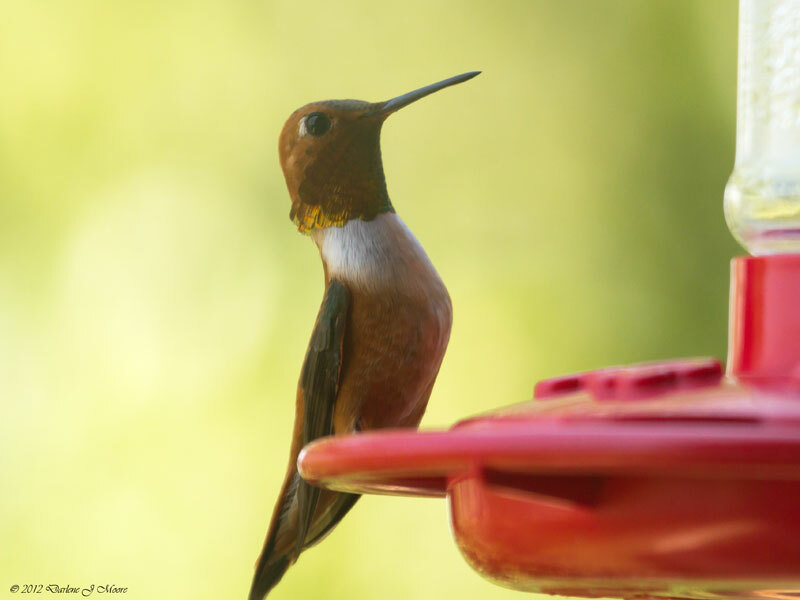 The above Rufous Hummingbird represents one of the few well-studied Selaphorus Hummingbirds that can safely be identified to species in North-central Texas.